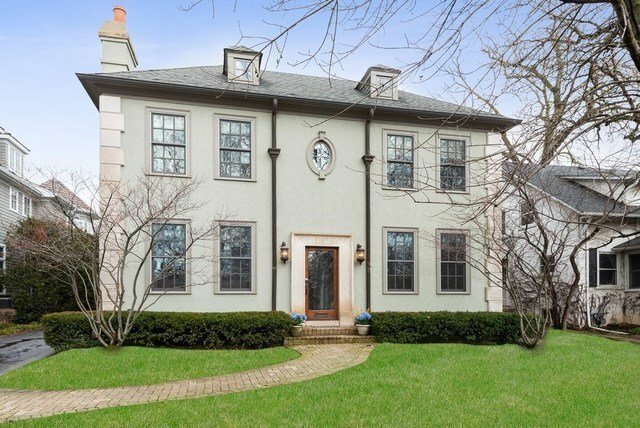 Just listed in the heart of Winnetka's "tree streets"! Built in 2002, 6 Bedrooms, 5.1 Baths with RARE 5 bedrooms and 4 full baths on second level. You will love the gorgeous millwork, crown molding, beamed ceilings, and custom built-ins. The first level features a gracious living room with fireplace, formal dining room, a chef's kitchen with top line appliances, and breakfast area opens to large family room with built-in bookshelves and gas fireplace. A beautiful, private office, convenient mudroom and laundry room complete this floor. The second level includes the master bedroom suite and luxurious spa bath with four more spacious bedrooms, 2 that are ensuite with private baths. The amazing lower level boasts 6th bedroom, full bath, rec room, playroom, exercise, bonus room and tons of storage. The sunny patio, professionally landscaped and fully fenced yard delivers optimal outdoor space. 2 car garage, close to town, train, restaurants and shops. Do not miss! !